LSM-24 FLIPBOX® by POWERBOX - ON SALE! - FREE Shipping! 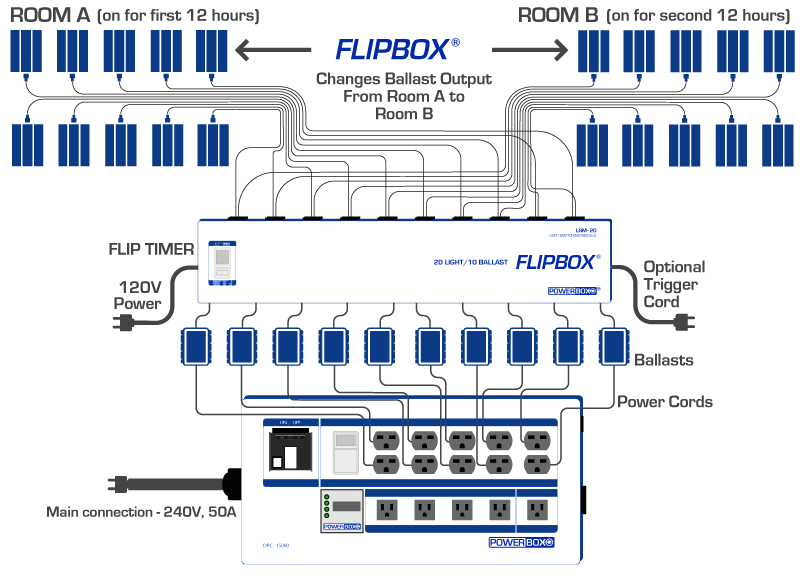 With an LSM-24 FLIPBOX® by POWERBOX®, you can run twenty-four lights with twelve ballasts and double your production. 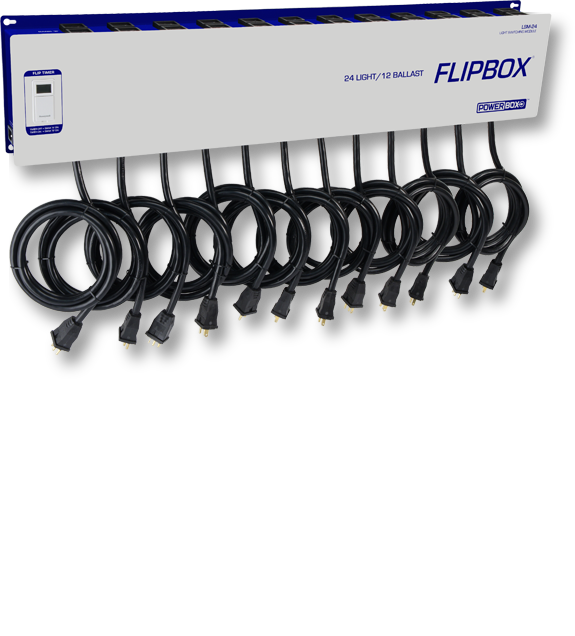 The LSM-24 FLIPBOX® is a multi-ballast light switching module that allows each ballast to run two separate lights - one at a time - by switching back and forth between each light, at a user-specified interval that is set on the built-in timer. Designed and manufactured in California from the best industrial-grade components, an LSM-24 FLIPBOX® will instantly bring more productivity to your setup and will provide trouble-free operation. ETL Listed, UL Approved, and CAN/CSA Approved.